BOUCHERVILLE, Que. – Hockey Canada announced today its National Men’s Team roster ahead of the 2018 Winter Olympic Games held in PyeongChang, South Korea, from February 14 to 25, 2018. 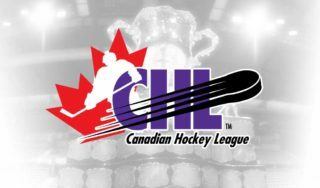 Among the players selected to the Canadian roster, you can find four players having previously played in the Quebec Major Junior Hockey League. Gragnani played in the QMJHL for four seasons between 2003-04 and 2006-07, wearing nothing but the Prince Edward Island jersey. He ended his junior career with totals of 50 goals and 193 points over 256 games played. 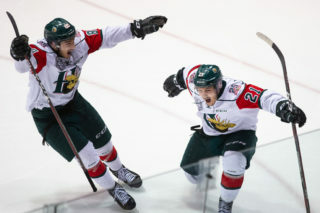 In Lapierre’s case, the former teammate of Gragnani first played for the Montreal Rocket in 2002-03, before following the franchise to Prince Edward Island for the 2003-04 and 2004-05 seasons. 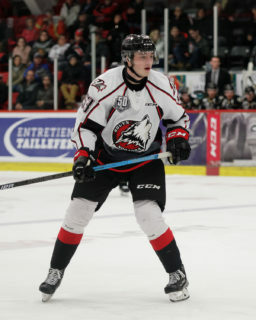 Over his 217 QMJHL games, he amassed 74 goals and 84 assists. As for Noreau, he proudly wore the Victoriaville Tigres colors in 2004-05 and 2005-06, before becoming the franchise’s captain for the 2006-07 season. 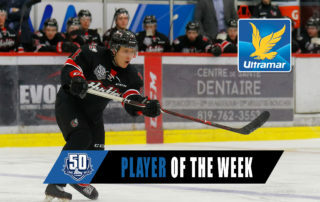 An offensive defenseman, he scored 44 goals and assisted on 104 of them in his 203 QMJHL games. 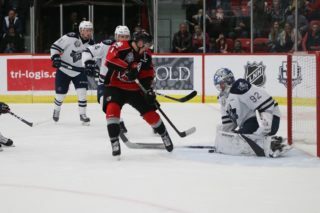 Goaltender Poulin will also be reunited with a former teammate in Noreau after wearing the Victoriaville Tigres jersey over four seasons, from 2006-07 to 2009-10. Over his 169 starts in his junior career, Poulin won 81 of them and maintained a 3.16 goals-against average, a .901% save percentage and recorded eight shutouts. Aside from the players, QMJHL alumnus Martin Brodeur will be acting as Team Canada’s Assistant General Manager. Brodeur wore the Saint-Hyacinthe Laser colors over his junior career that spanned from 1989-90 to 1991-92. Canada will attempt to defend its 2014 gold medal by beginning its Olympic journey against Switzerland on Thursday, February 15, at 7:10 a.m. ET.